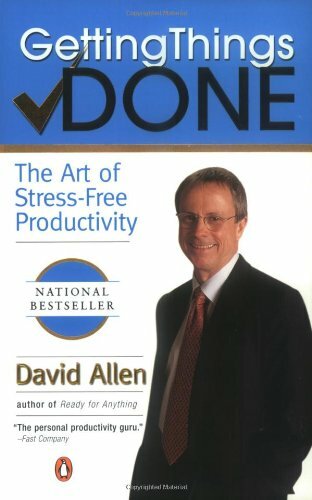 Born out of David Allen’s Getting Things Done methodology, the weekly review is a staple of consistent productivity. His method is straightforward. Clear your desk, organize your papers, shred old bills and receipts. Close old browser tabs, shut down once-useful programs that now clutter up your taskbar, and get any processed/read emails out of your inbox so they don’t distract next week. Review your notes from the week capturing unprocessed actions. Consolidate remaining actions into your todo list. Move all emails, actions, notes, and other files to their appropriate locations. For unreturned emails and calls, mark them for follow-up or set a reminder to track them down next week. Look at future meetings and events, prepping up front to be ready for them. Lay the groundwork for project milestones that are due. Schedule blocks of time for focused attention now before others steal those times away. Finally, list anything on your mind such that, when Monday morning comes around, you’ll be able to pick up right where you left off. This all might take you 30 minutes at first, but after a few weeks you’ll knock it out in 15. The time you’d otherwise spend in disorganized chaos will more than repay the minimal time investment in this weekly review. Bonus points if you capture your weekly review in a checklist you can reuse week after week. Do you have a weekly review process? Please share!